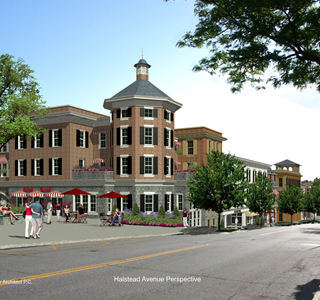 RHBPC is pleased to announce that the proposed transit-oriented development (TOD) at Harrison Station received the Honor Award for Downtown Revitalization from the AIA Westchester/Mid-Hudson. The jury recognized the unique partnership between the regional authority, Metro-North Railroad (MNR), and the local municipality, the Town/Village of Harrison, New York. They also recognized the great potential for revitalization of downtown Harrison through the redevelopment of the train station property.